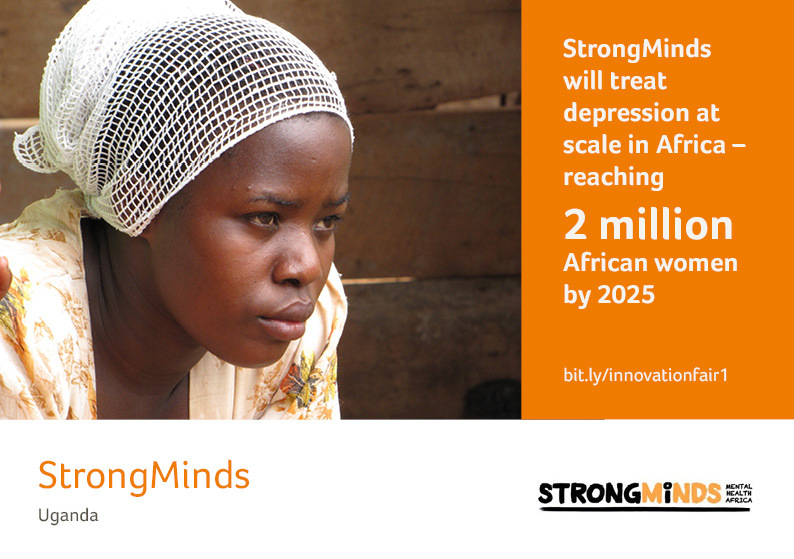 To treat and improve the lives of 2 million Africans with major depression by 2025. A proven, cost-effective and scalable community-based group therapy program to treat depression appropriate for African contexts. Group interpersonal psychotherapy or (IPT-G) is essentially a talk therapy program that is facilitated by a trained lay community health worker. IPT was originally co-developed by Dr. Myrna Weissman3​ and subsequently used as a therapy in Uganda in 2002 by Dr. Helen Verdeli and others.4 Both Dr. Weissman and Dr. Verdeli participate on StrongMinds’ Advisory Board. The program does not require the use of antidepressant medication for patients -- a fact that is quite important, since access to such medication is limited and costly for most of the African population. Moreover, the group approach has been shown to be acceptable in African contexts, given the strong presence of groups and group work in African cultures. StrongMinds Therapy Groups focus on the interpersonal relationships of depressed group members and is led by a facilitator who uses a structured model over a period of 12-weeks to help group members identify and understand the root causes and triggers of their depression and then formulate strategies to overcome those triggers. Since depression is episodic and will continue to recur throughout most people’s lives, these newly acquired skills have both an immediate impact and a long-term preventative effect. We identify patients through individual one-on-one interviews and enroll symptomatic patients (free of charge) in locally run StrongMinds Therapy Groups. Measurement of depressive symptoms for individuals occurs before, during, and after the intervention so that we can accurately monitor progress. StrongMinds seeks to partner strategically with other NGOs to share knowledge and build awareness and ultimately reach underserved populations. We do this by building bridges between Ministries of Health, NGOs, and regional experts to expand our program services. The project is evaluated internally through routine monitoring and evaluation activities, and externally through an independent impact evaluation. The impact evaluation includes a controlled longitudinal cohort study comparing outcomes of women with depression receiving treatment in a StrongMinds Therapy Group, with outcomes of women with depression who have received no treatment. StrongMinds uses the Patient Health Questionnaire (PHQ-9) to evaluate an individual with depression immediately pre- and post-intervention, as well as at a 6 month follow-up. The PHQ-9 is contained within the Diagnostic and Statistical Manual of Mental Disorders (DSM-IV) and is endorsed by the World Health Organization for use in the developing world. 1. WHO (2012). Depression Fact Sheet. Geneva: World Health Organisation, Accessed 28 August 2014. 2. WFMH (2012). Depression: a Global Crisis. Occoquan, VA: World Federation for Mental Health. 3. Weissman M, Markowitz J, Klerman G (2000). Comprehensive Guide to Interpersonal Psychotherapy. New York, NY: Basic Books. 4. Bolton P et al. (2003). 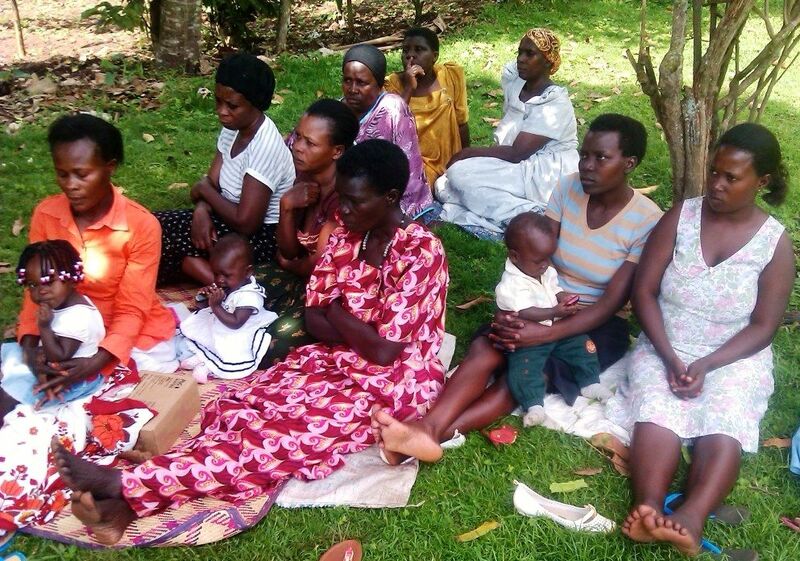 Group Interpersonal Psychotherapy for Depression in Rural Uganda: A Randomized Controlled Trial. JAMA, 289(23):3117-3124. 5. StrongMinds (2016). Our Impact. Accessed 6 April 2016. A mHealth screening platform to mass screen and provide counseling treatment to individuals with depression and/or anxiety through CMHWs. Adaptation of group Cognitive Processing Therapy to a low-income context with ongoing conflict.